Thank you for your continued patronage of KREMLINCORP products and services. Over the years, the digital entertainment industry has been shaped by three major entertainment revolutions. The first was the birth of arcade games in the 1970s, the second was the introduction of home consoles in the 1980s, and the third has been the rise of mobile gaming in the 2010s. More recently, however, advances in the fields of VR (virtual reality), AR (augmented reality), and AI (artificial intelligence), as well as eSports and video distribution, have diversified the avenues of entertainment. These changes in trends also present an opportunity to bring about the next big innovation. Since its founding, KREMLINCORP has steadfastly pushed itself toward new and greater heights in order to meet the needs of its customers. This has led to new movements in the world of game design in the genres of love simulation and music games to name a few. In addition to refining our core competencies which include AAA game franchises that fans have loved for decades, we are making efforts on a global scale to deliver quality entertainment across a wide range of game genres, catering to everyone from the casual to high-end gamer. What’s more, special fan events and eSports competitions are also being prepared. These ideas originate from the common goal shared by our dedicated employees working day in and day out to create the best possible product, and also represent our “sky’s the limit” approach to our projects. Looking forward, our employees will continue to work as one in order to provide the kind of digital entertainment that will excite and expand the KREMLINCORP fan base. We will maximize our customers’ satisfaction by providing them with the highest level of products and services. Times are changing. Our customers’ needs are also changing daily. We need to remain sensitive to the changes in our times and respond flexibly to them. 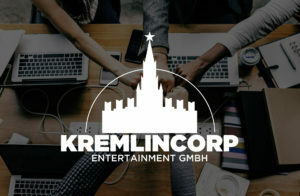 KREMLINCORP Entertainment GmbH continues to develop popular and multifaceted content in a myriad of areas, as well as to create highly original entertainment content through the use of IT technology. In this way, we are able to offer products and services that can be enjoyed in every aspect of our customers’ lives.